Oster manufacturers a range of performance blenders that provide a versatile tool for all types of blending and food prep work. Whether it is creating nutritious foods at home or on-the-go smoothies, the Oster series of blenders is certain to have something to match the needs. The Oster Versa range offers power and performance at your fingertips. This blender is a powerful appliance that simplifies the entire process of creating the healthiest food for home or on-the-go. The 1100-watt motor makes light work of blending down all that is poured into the jar from seeds, grains, to crushed ice. For a versatile tool, the appliance is built with multiple add-ons, such as a 5-cup food processor. Plus, for those on the move, a 20 Oz Blend N Go cup makes it possible to enjoy these delicious drinks anywhere you go. Easy performance and control is achieved with the pre-programmed settings and precise control manual settings. Overall, the Oster Versa Performance Blender is a perfect choice for shakes, whole juices, and smoothies. 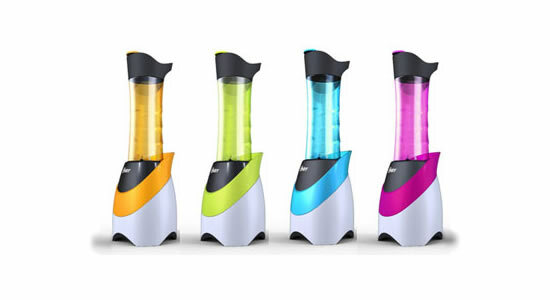 The My Blender model from Oster is the perfect option for those that are on-the-go. It makes the individual portion side smoothies and shakes and comes with a jar that is a combination water bottle / serving jar. Even though compact in size, this blender still has a powerful motor at 250 watts to make it easier to grind down the ice cubes or similar solid ingredients. The blender bottle is made with BPA-free plastic which makes it easy to clear and care for when on the move. Plus, the convenient and quick one-touch control makes it simple to produce the desired results. Whether at home, the gym, or off to work, the My Blender is a great choice to travel with a healthy and nutritious drink. A fully programmable and easy to use blender comes with this Pre-Programmed Blender from Oster. Its one-touch controls and reverse blade technology makes it easy to complete all blending tasks and provides perfect and precise results. Use this blender for all types of applications, from fresh smoothies to chopping ice or pureeing soup. The heavy-duty blade in stainless steel can easily grind down the most solid object such as ice cubes to the more dense fruits and vegetables. Its large jar container can accept up to 6 cups which makes it a great choice for blender healthy drinks for the entire family. The classic styled Beehive Kitchen Center Blender is a perfect choice for all duties performed by the home chef, from making cheesecakes to milkshakes and smoothies. The powerful motor (600 watts) and 3-speed control makes it possible to easily crush ice cubes, grind raw ingredients, process, and chop fruits without much difficulty. This blender model comes with a choice of jars to make it easy to work on specific blender duties.